Details: Offering a range of experiences — from gentle runs for child and adult beginners to backcountry terrain for experienced skiers and riders — Sierra-at-Tahoe has been recognized by TransWorld SNOWboarding as a Top 10 overall resort. For those new to the slopes, there are four dedicated conveyor lifts, a $39 adult beginner package, and multi-lingual PSIA-certified instructors. For experienced visitors, there are 320 acres of backcountry terrain out of the Huckleberry Gates with cliff and cornice drops, rock chutes, open bowls and gladed runs. 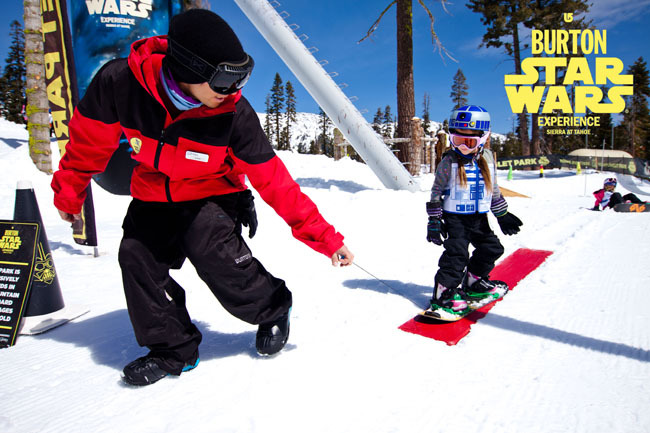 New for 2012-13: The Burton Star Wars Experience helps children ages 3 to 6 make their first snowboard turns. A new backcountry cat takes skilled skiers and riders to the top of Huckleberry Canyon. Best lift deal: The 3-Pak lift ticket is valid for three visits anytime during the season, with no holiday or weekend blackout dates. Other lift ticket and rental deals are available online. The Unlimited season pass also allows free non-holiday access for 10 days to the lifts at Southern California’s Mountain High and Stevens Pass in Washington. Snowmaking: Limited snowmaking supplements the natural snowfall, which averages 480 inches every winter. After dark: No nighttime skiing/snowboarding. Hidden gems: Preachers Passion and Avalanche Bowl are two local favorites known for tree skiing, says Steven Hemphill, resort spokesman. While not “hidden” gems, the terrain parks are nationally ranked by TransWorld SNOWboarding. Spotted last season: Olympic gold medalist Hannah Teter, who rides for Sierra, is on the mountain most powder days. Jamie Anderson, an X Games gold medalist and TTR world champion slopestyle snowboarder, also calls the resort home, as does Maddie Bowman, U.S. Freeskiing team member and X Games medalist. Where to stay: Sierra Resort does not have lodging at the base of the mountain. South Lake Tahoe and Stateline, Nev., are about 12 miles away, and each have many options for accommodations. Eats at the resort: Guest favorites are the 360 Smokehouse BBQ, on the top of the mountain, serving traditional barbecue offerings; and the Baja Grill, which serves Mexican food in Westbowl. Eats nearby: The Divided Sky in Meyers (530-577-0775, www.thedividedsky.com), five miles south of Lake Tahoe on Highway 50, has soups, salads, sandwiches, and drink specials. Après-snow hotspots: Nearby casinos include Harrah’s, Harveys, Lakeside Inn and MontBleu.